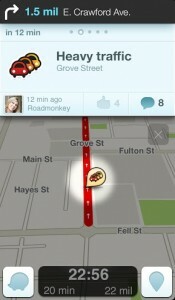 Have you been using Waze? You’re crazy if you haven’t been and enjoy getting discounts from your favorite stores and restaurants. The app also points you in the direction of where you can find the cheapest gas! Did I mention that the app also doubles as a GPS and has a variety of voices you can select from?! The biggest surprise is with the boy band option. Yes, someone will sing to you when you need to make a turn and it is entertainingly amazing. An additional feature that can save you a lot of time on the road is the live traffic functionality. Users of the app are able to report where there is a crash or a heavy volume of traffic so you are able to reroute yourself to your destination without a headache.